AIIMS has introduced a two-steps registration process for admission to its undergraduate courses (MBBS) from 2019 onwards – Basic Registration and Final Registration. The All India Institute of Medical Science, New Delhi has started the online Final Registration process for the AIIMS MBBS 2019 Course from February 21, 2019 to March 12, 2019. According to the officials, all the participants have to develop their unique code, and only those candidates who complete the process of the application without making any error would be eligible to complete the other processes for the MBBS UG Course 2019. Talking more about the AIIMS MBBS Exam, the Basic Registration window was open from January 3, 2019 to January 22, 2019. Students can access the link to generate code from February 23 to March 12, 2019 till 5 pm. The AIIMS MBBS Final Registration 2019 Portal includes the selection round of preferred city as well as the payment option for the scholars who have completed their basic registration. The institute has decided to provide another opportunity for the meticulous candidates who are unable to generate a unique code till date. All they need to do is visit the official web portal of AIIMS, Delhi i.e. www.aiimsexams.org and submit their final applications. Important Note: Applicants who already generate their code at the Basic Registration process can apply directly for the Final Registration process, whereas other students who didn’t able to generate their code at basic registration level require to create the code and then go for further process. 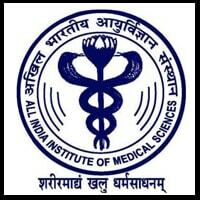 The application process of AIIMS MBBS 2019 has divided into three stages, i.e. Basic Registration, Generation of Code and Final Registration round. Apprentices can check the steps of Final Registration Round here. Click here to open the official gateway of AIIMS MBBS 2019. After this, click on ‘Academic Course’ tab which is available on the homepage. Now, hit the ‘Proceed for Prospective Applicants Advanced Registration’ link. Then click on ‘Undergraduate course’ tab and generate your code for the applying examination (MBBS/ B.Sc Paramedical/ B.Sc (H) Nursing). Later than, you will collect a code on your registered mobile number or email id. Finally, make the requisite payment and choose the examination city. Submit it and take a print out for further reference. Note: Once the student completes the application process he/she will be eligible for the AIIMS MBBS 2019 Examination. AIIMS MBBS 2019 entrance exam is scheduled to be conducted on 25th and 26th May 2019 for admission to MBBS courses at AIIMS, New Delhi and other fourteen AIIMS viz. Bhopal, Bhubaneswar, Bathinda, Deogarh, Jodhpur, Gorakhpur, Kalyani, Mangalagiri, Nagpur, Patna, Raipur, Rishikesh, Rae Bareli, and Telangana. Please note that without completing the Basic Registration process, candidates won’t be able to complete the Final Registration process. The Online registration process for the AIIMS MBBS entrance examination 2019 has started from 30th November 2018. To fill the basic details, the candidates will not be asked to make the payment. The process will be closed at a specific time before the second stage of registration begins. Those who have successfully submitted the basic registration form will be allowed to go ahead and fill the final registration form. If a candidate after completing AIIMS MBBS Basic Registration 2019 does not wish to continue with the second stage of the application process, his details will be stored for the subsequent year. In such cases, the details will be valid for a period of one year. At this stage, the applicants need to enter the remaining details including academic qualification, etc. and application fee payment. Before providing all the details, candidates are advised to go through the instructions carefully. Applicants Advanced Registration facility has been introduced for the upcoming exam and is expected to continue in future as well. The registration will be conducted on the official website – www.aiimsexams.org.